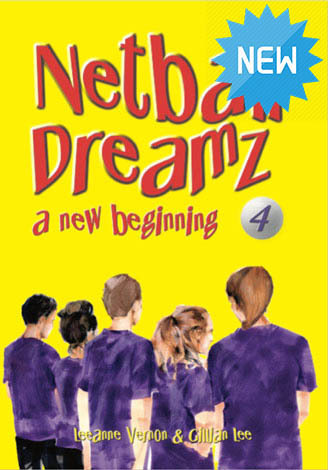 Fourth Novel in the Netball Dreamz Series. Novel for 8-13 year old readers, but loved by all ages. United High always put best friends together. For BFFs, Sally and Nat that has to be right! High school is a new beginning, and now that Sally can email Gillian Lee’s for expert netball advice about try-outs and other important netball stuff, she can’t wait for Year 7 netball trials. But with such fierce competition, making the team is virtually impossible. With the whole school going crazy for the Festival of Food, Music and Fun, Sally and Nat face their toughest challenges. Just when they are ready to give up their netball dream, Aunty Faye comes to the rescue. New friends, old foes and teachers Sally never expected to deal with again, makes it a disastrous start to Year 7. Can Sally and Nat overcome all of this? 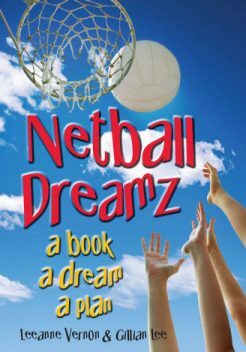 First Novel in the Netball Dreamz Series. Book for 8-13 year old readers, but loved by all ages. Ever wanted something so badly you’d do anything? 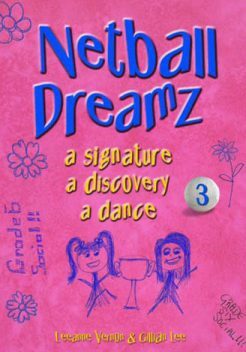 Sally and Nat are desperate to play netball, but without breaking every rule in the book, that’s never going to happen. Sport is totally banned at Sally’s place and Nat comes from a basketball family. When Nat is given, Netball Basic, a netball training manual, the girls plan to teach themselves how to play and make the grade six netball team. With surprising allies along the way, mean girls who’ll do anything to stop them and parents who should know better, this is one dream that doesn’t come easy. 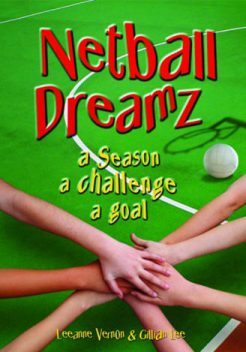 Second Novel in the Netball Dreamz Series. Novel for 8-13 year old readers, but loved by all ages. Do you love netball? Sally and Nat do. But they hate arch rival school, Highfield Primary. They win everything and now have a star new recruit. You’ll never guess who! With the school netball season about to start, Highfield thrash Central Park Primary in a practice match. The challenge is on … get better and get even. Sally gets help from her great new book, Playing Netball, but nothing is going right for Nat. Trying to help her best friend, Sally comes up with a plan. It’s a total disaster. Central Park and Highfield’s next clash is in the last round. Can Sally and Nat learn the most important thing about playing netball before it’s too late? Join Sally, Nat, Maddie, Patrick, and all your favourite characters, as Central Park strive to reach their goal – making finals. Third Novel in the Netball Dreamz Series. Novel for 8-13 year old readers, but loved by all ages. Dancing. With BOYS. It has to be the worst idea ever for a grade six social! Sally’s not going. Seriously, big feet and dancing don’t mix. Besides, Sally has more important things to think about. Like netball finals, and who sent the personally signed copy of Gillian Lee’s book Netball Success. The book has heaps of secrets to ensure Central Park wins every game of the finals, and the School Championship. Sally’s desperate to win, but Nat barely has time to train. Nat’s into the whole dance thing. Acting all weird, like not whinging about anything, not even Patrick. Sally’s life is confusing enough until a startling discovery changes everything. Playing netball is all Sally cares about until an old friend teaches her some new moves.Will Sally find the courage to attend the biggest social event of their grade six year?